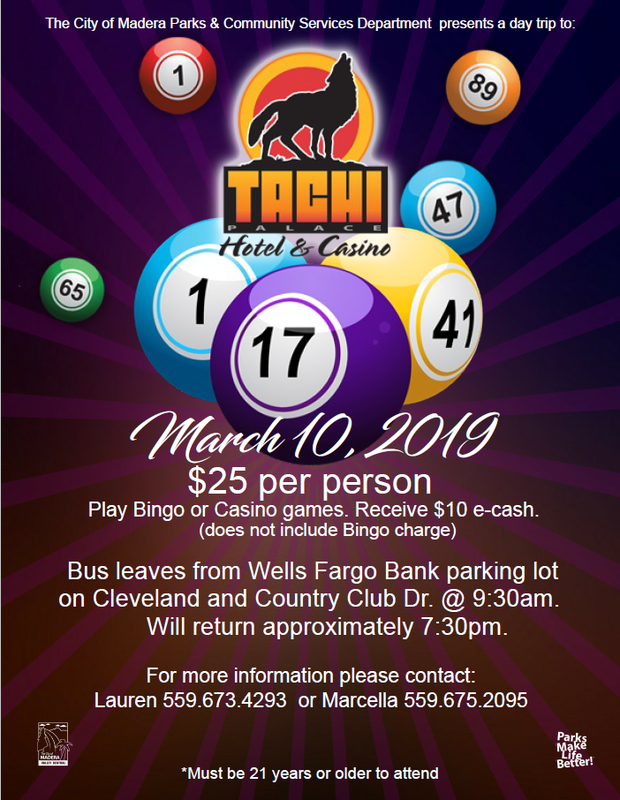 Join us on a day trip to Tachi Palace Hotel & Casino! When: March 10, 2019 from 9:30 am to approximately 7:30 pm. Where: Bus leaves from Wells Fargo Bank Parking lot on Cleveland Ave. and Country Club Dr. at 9:30 am (Be on time) .